As Western and African cultures collide in Haiti, there is religious conflict between Christianity and Voodoo. 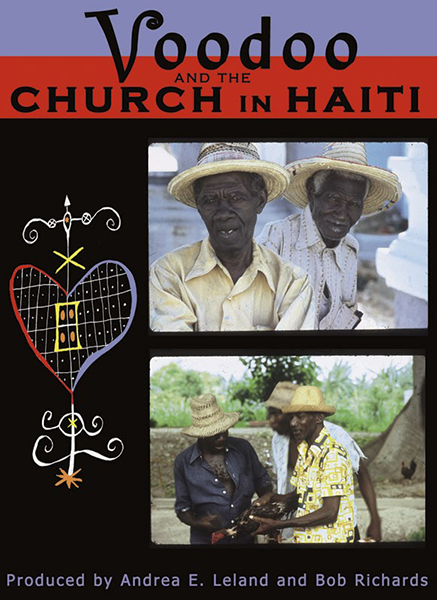 The latter religion flourishes in Haiti despite centuries of vigilant opposition from the Christian church. It continues to be one of the strongest elements underlying Haitian culture. This film dispels Hollywood stereotypes and presents Voodoo as a belief system passed down from Haiti’s African ancestors to today’s Haitians. Selected Screenings:nPBS, Chicago Filmmakers; Chicago Cultural Center; Du Sable Museum, Chicago; University of Wisconsin; University of Chicago; National Association of Black Studies Conference; African Studies Conference; American Anthropological Association. A classic film on the subject of Voodoo.